Hello everyone. Cece here. A few weeks ago I ran across an analytics plug-in called HitTail. It focuses on keyword searches and how people find and view websites. I am working on launching a new business (Reinhardt Designs – designing WordPress websites) and I was doing research to find some of the best analytics programs. Now anyone that works with WordPress knows that there are plenty of SEO (Search Engine Optimization) plugins out there that can tell you how many visits you have to your site and what keywords were used in the search to find you. But what makes HitTail a bit different is that they use your own search data to find underperforming long tail keywords. I won’t go into a long explanation of what a long tail keyword is but if you want to know more go here: long tail keyword. So, they analyze these phrases (all keywords which lead people back to your website) using an algorithm to give you suggested topics based on the underperforming keywords. 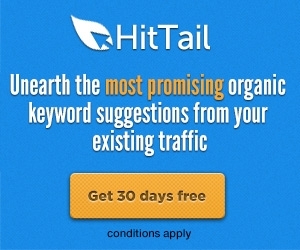 Analytics might show you 3000 keywords in a month, HitTail filters that to your most promising 50 or 100 keywords. All in all, acting on their suggestions and writing posts or creating pages that include these keyword suggestions should increase the organic traffic (think Google word search results). They have a free trial going on so I signed us up and have been using the service for 7 days. Check pics below from our HitTail account to see results. (orange) – Top ten keywords are 23.2% of all our search traffic. (green) – Long tail keywords are 76.8% of all our search traffic. In the pic above, suggestions are: RV life, RV remodeling ideas photos and airstream tank monitors. So, we should write a post or create a page using these keywords throughout. And the last pic shows our To Do page – we can move suggestions into the To Do page to create a punch list of action items. You have control over what keywords to move to the To Do page and which ones you discard. Our To Do page includes full-time airstreamers, airstream remodel kits, airstream remodel and small glass shower. So far I am happy with the results and look forward to seeing what else they come up with over the next few weeks. FYI – this program isn’t free and starts at $10/month after the free trial but could definitely be worth the money if you want to improve your web traffic and want an all in one simple to use analytics tool. Keep working ,terrific job! Love what you have done with the Airstream and small house renovation.